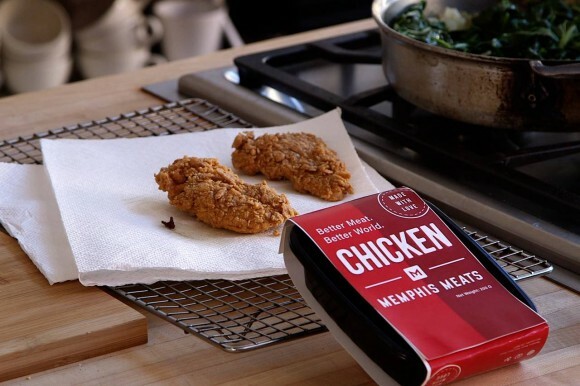 Call it clean meat, cultured meat, or even lab-grown meat – the questions remain the same: What’s it going to take to get this revolutionary product on grocery store shelves, and how close are we right now? Today, The Good Food Institute’s Science & Technology Department released the world’s first public guide to the clean meat industry: an industry that is poised to completely transform the way we produce meat by removing the animal from the equation. That is, this is technology that allows us to produce meat directly from cells outside of an animal, circumventing the need for factory farming and its myriad harms. You can find the full guide here! GFI’s scientists have identified the critical aspects of clean meat production, from the culturing of the initial cells all the way to distribution. And to make it even more digestible, our team has created a visual and written exploration of all of the key areas where innovation is required. This “mindmap” provides a comprehensive overview of the fledgling industry, and it’s also a tool to help scientists and entrepreneurs direct their efforts and launch this promising production method on the commercial market. Read the full guide here, and for the VIP, all-access treatment, get a walkthrough from the guide's lead author, Dr. Liz Specht, in this recorded webinar. GFI is committed to democratizing scientific information that will help save our food system. As such, our clean meat mindmap will be the first in a series of publicly available documents GFI will publish to advance world-changing food tech that will end the industrial farming of animals! GFI has a team of scientists, entrepreneurs, lawyers, and lobbyists, all of whom are laser focused on using markets and food technology to transform our food system away from factory farmed animal products and toward clean meat and plant-based alternatives. If you are a member of the media and would like to connect with one of our experts, please contact Matt Ball at mattb@gfi.org.